StarBoard TE-SN65 Interactive Touchscreen Display is outright one of the leading collaborative communication platforms in markets. Its unparalleled qualities and diverse functionality put it well above its competition in all regards. 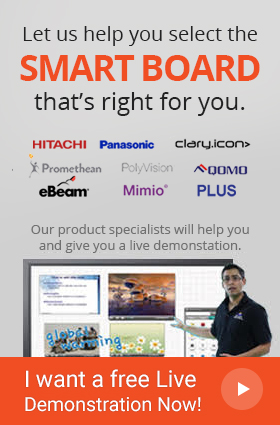 StarBoard TE-SN65 is a large 65“touchscreen panel which boasts exemplary display qualities. Its HD resolution makes sure that the display is vivid and lively. The touchscreen integrates state of the art IR technology for touch sensing, which when combined with 10 point multi-touch facility, is a complete pleasure to use. TE-SN65 Interactive Touchscreen Display is specifically designed to make collaboration easy and convenient for everyone. The most distinguishing feature of TE-SN65 is its compatibility with all kinds of computer systems, including Windows, Linux, MAC, and Android. To assist users, the StarBoard Interactive Software is provided with this touchscreen to supplement its abilities. This extensive software package offers users a wide range of interactive tools that help in effective whiteboarding and presenting to an audience. StarBoard TE-SN65 Interactive Touchscreen Display is surely setting standards in the industry and is a great fit in professional interactive environments. Not only does the Starboard touchscreen come with multiple user friendly features, it ensures that users enjoy a perfect high definition screen quality that highlights each and every detail of the image and never lets you miss out on anything. The HD display also works towards enhancing the attention span of the audience by keeping their eyes glued to the screen. It also ensures that important details are never lost due to ordinary image quality and the pixels remain clear and legible even when the image is zoomed in. 3 X HDMI-A (horizontal), one inside.